We offer integrated PR, marketing and digital solutions founded in thoroughly researched, considered and tested approaches. These days, brands must work harder than ever to make their voices heard. That means communicating in a way that’s clear, fresh, relevant and looking to the future. We push boundaries and challenge norms to breathe life and authenticity into your brand’s dialogue. Our people create meaningful and captivating ideas, lifting your voice above the crowd. Don’t miss an opportunity to communicate well. We listen and work as part of your team to discover your target audiences and how we can create a longterm and meaningful relationship with them. That means understanding their behaviours. Those who are successful have looked deeper and found authentic, interesting things to say to those audiences. We want to understand your long-term goals so that your actions today build towards the bigger goals of tomorrow. We collaborate with you to bring out the very best you have to offer and make communications work hard for your business. Trust isn’t a given, it’s earned, and we love to earn the trust of our clients. With trust comes a flourishing relationship that enables us to achieve optimal results. Our team includes highly-experienced marketers, graphic designers, public relations experts and former journalists with networks stretching from Cape Reinga to Bluff. Whether the focus is local or national, our approach is always the same – working directly with clients to ensure that their goals are our goals, that their success is our success. Natalie founded Blink in September 2012 to harness the power of good communications for local businesses. Understanding what makes people behave in the way they do and being able to positively influence that behaviour is what sets Blink apart. “Many of us are former journalists and I think our strength lies in understanding what makes people tick and how to create messages and connections that make good things happen.” Natalie has worked in the UK as a producer, production assistant and researcher for BBC radio and TV consumer affair programmes, and has also stage-managed national BBC events. In New Zealand she pursued journalistic roles at the Bay of Plenty Times, More FM and RadioLIVE, before working as editor of Simply You and Simply You Living magazines. Her two English literature degrees include an MA from Oxford, where she specialised in romantic-period poetry. 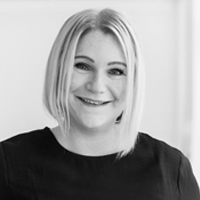 Natalie is a member of several boards: TECT (Tauranga Energy Consumer Trust), the Tauranga Art Gallery Foundation, and the innovative arts and culture hub The Incubator. As Blink’s longest-serving professional, Alison has found that her greatest source of work satisfaction stems from the success of her clients. Whittling down complex subjects to make them understandable as part of a wider plan is a part of the process Alison really enjoys. 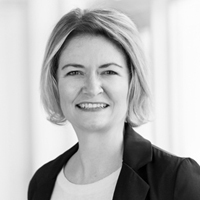 “We’re here to make things easy, but first that takes some frank and honest discussion about the entire picture and wider business goals.” Alison’s other specialisation for Blink is in the rapidly-changing digital and social media landscapes, ensuring that Blink remains at the forefront of those changes and the appropriate applications of them for clients. She built a skill-base through journalism, with broadcasting roles at Coromandel FM, More FM and RadioLIVE as well as a print role at the Daily Post. In 2002, Alison was judged Individual Radio Journalist of the Year at the national radio awards. She has a BA, and a Diploma in commercial broadcasting. Scott starts his projects with a structured, analytical appraisal that leads into a creative phase in which the goal is always to connect with an audience. “There needs to be reasons for doing everything we do. 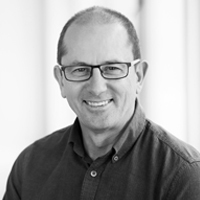 So we’ve developed simple processes that get to the crux of a campaign, project or larger strategy that maps out clear building blocks.” His skills are built upon more than 25 years’ experience across dozens of design disciplines for clients on both sides of the Tasman. He’s worked as an art director, studio manager, creative director and freelance designer. Among his more interesting roles was creating album covers for EMI Records. He’s won the Cover of the Year (twice) and Designer of the Year titles at the Magazine Publishers Association awards and a gold medal at the Pride in Print Awards. 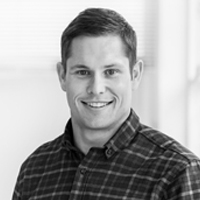 Luke focuses on helping clients with a communications style based on solid back-to-basics methods. “I love being able to sit down with a client and really get to know them. Building those kinds of relationships is vital in unpacking what makes their business tick and helping understand their goals.” He has a proven ability to organise major publicity around events on a national scale, and to lead major projects in the commercial and residential property arenas. He enjoys coming up with impactful and creative advertising ideas. Luke thrived in the environment of a busy newsroom at Sun Media and was soon head of sports, although he continued to hone his skills in general reporting fields including council, politics and emergency services. In 2014, Luke was runner-up Junior Sports Reporter at the community newspaper awards before he joined Blink. Luke has a BA Hons in media/communications and a National Diploma in journalism. 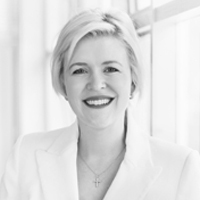 A natural storyteller through both traditional and digital mediums, Ellen embraces her clients’ objectives and aims to assume their unique “voices” in communications. Among her proudest achievements are the long-term relationships she has built with clients, including some she has worked with since their inceptions, particularly with in the healthcare, not-for-profit and property development spheres. “Working closely with clients and becoming part of their journey is a real privilege. 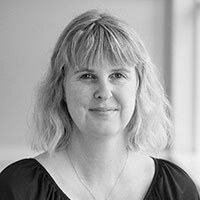 We really get to know their business and goals and constantly strive to achieve them through our part in setting the communications agenda and implementation.” She joined Blink in February 2014, bringing 15 years of journalism experience from publications including the Wairarapa Times-Age, The Evening Post, The Dominion Post, and the Bay of Plenty Times. Ellen has a BA (Hons) in French language and literature from the University of Otago and a National Diploma in journalism from Massey University. He aha te mea nui o te ao? He tāngata, he tāngata, he tāngata. What is the most important thing in the world? It is people, it is people, it is people. An addition to the Blink team in 2018, Kerry has more than 25 years’ experience in community and daily newspapers, specialty health and education publications, ‘mummy blogging’, freelance writing, and event planning and coordination. After living in almost every major metropolitan and regional centre in New Zealand, as well as three years travelling overseas, Kerry moved to Tauranga in 2016 and is enjoying finding out what makes our people tick. Kerry has a Certificate in Journalism from Auckland Technical Institute and was highly commended in the Best Journalist category at the Community Newspaper Association Awards in 1996.